My screen is quite limited (1366x768). 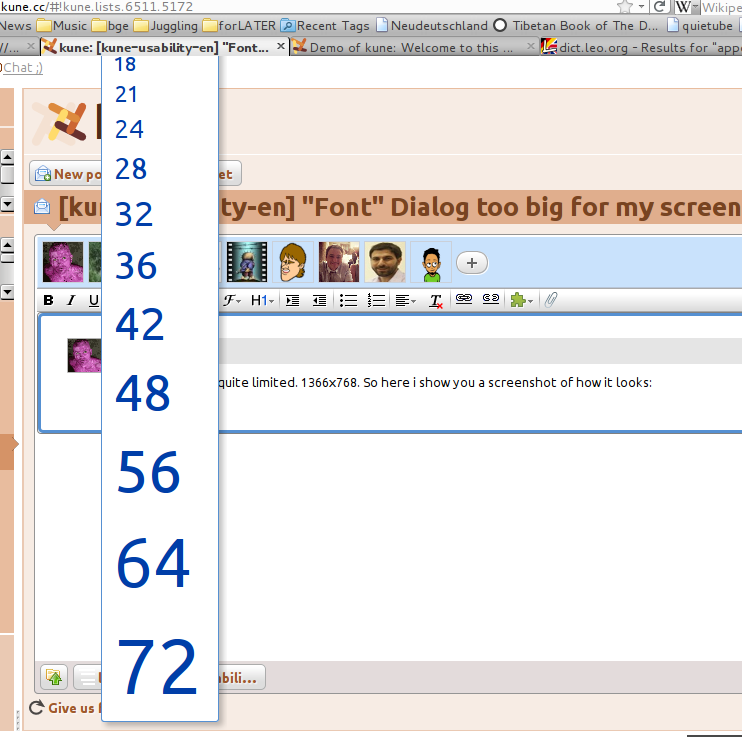 In the current situation i cannot choose a font-size smaller than 18 because smaller sizes are not shown in my screen. It would be fixed if the pop-up font-size chooser could scroll.